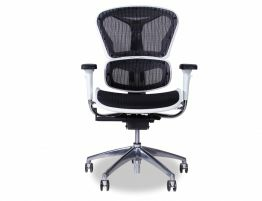 Mokum Modern Office Chair is a versatile, ergonomic and flexible desk chair which helps the user feel good and be more productive, while taking care of back and body comfort, all based on a design that can fit into any space and gives you instant comfort, anywhere you work.This operative chair fits organically into both flexible and static workspaces. 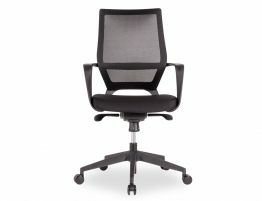 The thin but strong frame of Mokum Office Chair feels nearly non-existent and offers support while flexing so you can comfortably move your upper body. 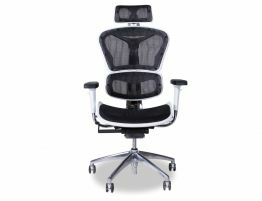 Ergonomic mesh high-back chair is designed to better your sitting and working experience, so you can enjoy a highly customised resting spot.Ergonomic mesh high-back chair is designed to better your sitting and working experience, so you can enjoy a highly customised resting spot. 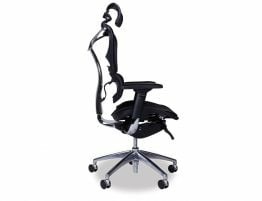 The headrest accommodates a wide range of activities and postures people adopt while working – from intense forward-facing focus to relaxed contemplative recline. 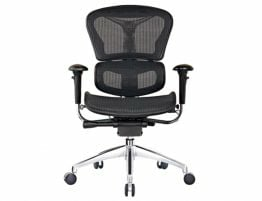 This modern designer mesh and fabric task chair is an ergonomic chair which provides multiple adjustment features to maximize comfort and productivity. 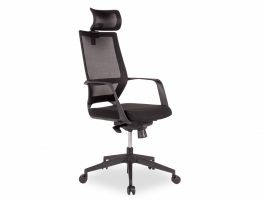 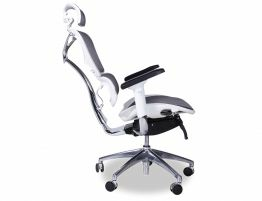 Fabric task chair is an ergonomic chair which provides multiple adjustment features to maximize comfort and productivity.